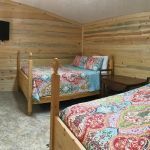 Ask fellow campers about "Cedar Breaks RV (formerly Country Aire RV Park)" and nearby attractions. The park is clean and quiet. Sites are large. Was able to leave truck and 38' 5th wheel connected. We camped at Cedar Breaks RV (formerly Country Aire RV Park) in a Fifth Wheel. Hello, thank you for your review! We are happy to hear you enjoyed your stay and hope you will stay with us in the future if you're in the area again! If you need to stop on your way up or down 15, this is a serviceable option. We liked the pullthrough spots and it was easy to connect. The place was quiet and it was nice to have some grass and picnic tables next to the pullthroughs. The garbage bins were quite far away and they missed the obvious good idea of putting a trash can near the dog run. Speaking of the dog run, it was tiny and it has business hours. Yes, your dog can only romp in the 6x6 chain link fenced areas between the hours of 9-5. We really tried to figure out why someone would lock a tiny little dog run. I understand the code on the bathroom and other security... but a tiny patch of grass for dogs? Is it a security risk that a neighborhood dog might do its business there? It is truly perplexing. Perhaps they will respond to this comment and the mystery shall be revealed. In the meanwhile, our experience was pretty "meh"... but we weren't expecting much in the last-minute-no-reservations-pull-off-freeway RV scenario. We camped at Cedar Breaks RV (formerly Country Aire RV Park) in a Motorhome. Hi, thank you for taking the time to leave your feedback. We would like to address some of your concerns with our dog park facilities. Our dog park is approximately a 20' x 40' (and may be larger) enclosed area, not a 6x6 as you stated. There is also a pet waste can right before you go inside the dog park on the right, which houses bags on top and a garbage can with a lid on the the bottom for your pet waste. We are sorry you missed it. Our dog park is not open after hours because there is no lighting and also because some guests opt to not pick up after hours. During the summer our office hours are different than the winter and the dog park is open longer. So once again, were sorry you were disappointed with our dog park, but hope you enjoyed your stay otherwise. This is a nice, safe park. Grass and mature trees, well kept. We could not get satellite service due to trees, but that was ok. Sites were gravel and not particularly level. They are sticklers for petty things. Arrive 10 minutes early and get charged $10. Stay a little late and they may charge you for another night. It wasn’t a problem for us, but something to keep in mind. Would stay here again. Very quiet, if you have a vehicle it’s just a short drive to the downtown Main Street. We camped at Cedar Breaks RV (formerly Country Aire RV Park) in a Motorhome. Thank you for taking the time to provide your feedback. We have policies in place and we do not flex on our check-in rules. We are sorry you find that some of our rules are petty. Just to clarify for others the time between our check-out and check-in is reserved for cleaning our park grounds and our restroom/laundry facilities before our next guests check-in as we like to ensure they are thoroughly cleaned. Therefore, if you opt to come before check-in we will not allow check-in before 12 noon and between 12-2 there is a $10 early check-in fee. Once again, thank you for providing your feedback and staying with us. We do hope you'll visit again if you're in the area! Clean, modern RV park. Nothing fancy but extremely clean and well managed. No resort amenities but a quiet place to sleep while visiting the surrounding area. No traffic noise. Hookups modern and well maintained. Sites vary in size and some are not level. We had a good sized gravel pull through with small concrete patio & a patch of grass. Some turns are tight. We had to unhook our toad to make the turn into our site. We were planning to unhook anyway so we didn't mind. 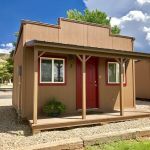 Our site would not have worked well for leaving the toad hooked up because the location of the hookups dictated that we park the motorhome at the aft end of the site, with the car out front, which in my opinion negates the benefit of a pull through site. The RV park is adjacent to a residential area and there is no security. We didn't see any problems but a gate would have been nice. WiFi works well for travel planning, maps, small downloads. 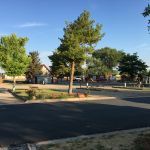 Cedar City is a nice University town with a charming historical downtown area, good restaurants, major grocery stores and about 10 miles of paved bicycle trails. We camped at Cedar Breaks RV (formerly Country Aire RV Park) in a Motorhome. Hello! Thank you for taking the time to provide your feedback on our park. We are happy you enjoyed your stay and hope that if you're in the area again you'll choose to stay with us! Very nice campground. Check in was super easy and the staff is very friendly and helpful. Had a nice pull through site long enough for our motorcoach and tow vehicle. Gravel sites with nice grassy area between sites. Campground very clean. Nice size town with shopping and some really good restaurants. We made day trips to Zion and Bryce National Parks plus Cedar Breaks National Monument. We camped at Cedar Breaks RV (formerly Country Aire RV Park) in a Motorhome. Enjoyed our stay. Took a little bit to level, but utilities were great. Each site is curbed, and saw several MH's struggle to get in. Some tight turns. Staff seemed eager to change those having issues. Dog park was clean. Rules didn't seem harsh as others stated. Would stay again if in the area. We camped at Cedar Breaks RV (formerly Country Aire RV Park) in a Fifth Wheel. Enjoyed Cedar Breaks, Brian Head, and Bryce Canyon. Very clean campground. Dog park well maintained. Sites are very small. Employees friendly. Watch roads inside park. Tight corners. We camped at Cedar Breaks RV (formerly Country Aire RV Park) in a Motorhome. Hello! Thank you so much for taking the time to provide us with your feedback! We greatly appreciate it! We hope you enjoyed your stay with us and that you'll stay with us again in the future. Part pavement, part gravel roads. Some sites have more shade than others. Wide roads for turns into pull-thrus. OTA channels. Good wifi. Nice, thick, green grass areas with separate picnic table patio. 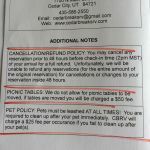 Don't get me wrong, I like squared-away campgrounds just as much as the next camper but the dog and picnic table rules and fines are a bit over-zealous. They are easy to follow. It is just that I felt guilty and being watched before I parked the trailer. We camped at Cedar Breaks RV (formerly Country Aire RV Park) in a Fifth Wheel. Hello! Thank you for taking the time to provide your feedback, we greatly appreciate it! I would like to provide a little more information on the dog and table rules. Just this year we have had to create stricter policies as guests have opted not to follow our rules of not moving our tables and not following the pet policy. We added in concrete patios for our picnic tables to sit on and do not want them moved. While we can certainly understand to a guest who obeys our rules they feel like we are bit overzealous. However, we cannot look at a customer and determine if they are going to follow the rules or not. So we have opted to spell it out and if the rules are broken there are consequences, which are fines. We do hope you enjoyed your stay with us otherwise and hope you would come back! Thank you! Booked the site the day before for the following night. Was informed of the $10.00 fee if checking in before 2:00 PM. Left Salt Lake City early due to the smoke from the wildfires. Arrived at the Park at 12:30 and was going to pay the 10.00 early check-in fee and chalk it up to circumstances. The office was not open so I picked an empty spot with a shade tree and started the Genset so I could run air in the coach. After just a few minutes, a young person knocked on my door and asked if I had a reservation. I replied that I did. She informed me if I stayed on the empty spot I would be subject to a $10.00 fee. She was not rude but not friendly either. I moved to a spot she designated by the trash cans. I asked my wife if she wanted to pay for early check-in and she said not after this. The check in was the same, not rude and not friendly. I have RV'ed for 40 years and this is the first time I was asked to pay for early check in if the sites were available. The vibe from the staff was not one where I would ever be a repeat customer. The grounds were very clean and kept up. My site was very unlevel. It's really too bad the experience was ruined due to the inflexibility of management. Satellite TV did not work due to the trees at the site. We camped at Cedar Breaks RV (formerly Country Aire RV Park) in a Motorhome. Hi, thank you for taking the time to provide your feedback. We are sorry to hear you felt we were neither rude or friendly. As you stated you were aware when making your reservation there is a $10 early check-in fee, you also stated you were willing to pay it until you felt we weren't friendly. The office was open and the sign was on, I had stepped out into the park to assist another guest. You asked if you could stay in the spot and I stated that you were not allowed to occupy a site as that would be considered checking in early. I asked if you'd like to pay the fee you said no. At that point, you were asked to pull out of the site. Thank you for noticing our grounds are clean - the time between checkout and check-in is spent ensuring our facilities and grounds are cleaned and ready for the next set of customers staying with us. We're sorry you had a sour experience, we hope you have a safe trip. I have mixed feelings about my experience as a first time camper here. I just returned from the dog park to find it locked. 2 hours from sunset. I have never been to a park where they lock the dog park. On their welcome sheet there about 11 rules about pets - 11. Then they said to not move picnic tables (we have none at our site) and if you do move it, they will fine you $50. Not very friendly. When we called to make a reservation we were told check-in is 2 pm and if we showed up between noon and 2 we would be charged an extra $10. The entry into this place is very hard to see from the highway for it is not marked well... beware. My final complaint has to do with the strange concrete "lawns" by each site. The walls are 6-8 inches tall making it very awkward and dangerous to enter and exit your rig. We don't plan on staying here again. We camped at Cedar Breaks RV (formerly Country Aire RV Park) in a Motorhome. Hello. Thank you for taking the time to leave your feedback. Our dog park is open during normal business hours due to guests who chose not to pick up after their pets. We pride ourselves in having a very clean park to include the dog park and in order to keep the pet waste at bay we've chosen to close the park after hours. We also pride ourselves in all of our customers being able to enjoy a peaceful stay without having to worry about loose dogs jumping on them, disturbing them with excessive barking or worrying about stepping in pet waste just to name a few. Not all sites at this time have picnic tables, the sites that do have a concrete pad designated for the table location which keeps our grass areas from the wear & tear of moving tables during mowing. We are sorry to hear you had a difficult time finding our location. The concrete curbing at our sites is to protect our grass and sprinkler heads from being driven on. Thanks for staying, we wish you safe travels. The gravel sites were level, good water pressure, clean park and very pleasant staff. Good place to stay to tour the National Parks. The wifi was intermittent and slow, so don't count on it. Several sites were able to receive a satellite signal. The dog park was closed for the week that we were there for repairs but never saw anyone repairing it. The restrooms are older but clean. The men's only had one stall since the handicap one was out of order. We camped at Cedar Breaks RV (formerly Country Aire RV Park) in a Motorhome. Hi, thank you for taking the time to leave your feedback! We are sorry you experienced slow WiFi speeds during your stay, we are working on getting more coverage for our park. In regards to our dog park repairs, the park itself doesn't always complete the repairs themselves, sometimes we hire the jobs out and have to wait on someone else's schedule, so we are sorry to hear you were not able to utilize it while you were here. We have a temporary repair while we wait for a more permanent repair. Our restrooms are older and hopefully soon we can do some updates on those. We are on a plumber's schedule for the toilet issue, but not until the end of the week, so we apologize for any inconveniences that may of caused. Once again, thanks for taking the time to leave your feedback! Clean, quiet park. Lots of leaves blowing around. Space was long enough to remove car from trailer and park behind. We camped at Cedar Breaks RV (formerly Country Aire RV Park) in a Motorhome. Nearby Honolulu Grille was very good food at a reasonable price. Hello! Thank you for taking the time to leave a review. We're happy you enjoyed your stay. The Honolulu Grill is a good one, we're glad you found it! Safe travels! Upon our arrival at about 3:00 pm the office was closed and we were finally met by a nice lady who took care of us after about 10 min. 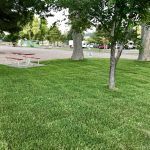 The park has been redone and at face value looks good but the cement curb around the grass areas are very tall and cause problems with turning a longer trailer. The cement curb can also cause a tripping problem when exiting your RV. The sights are gravel and I needed extra wood to level my RV due to the uneven surface. connections and wifi are very good at my site, I was able to stream video my whole stay. The laundry room was clean but the cost seemed high $2.00 wash $1.75 dry. Since there are no signs with the prices you end up putting in your detergent and realizing the cost once you start filling the slots. I would not recommend this park for long stays but is ok if you are just passing through. We camped at Cedar Breaks RV (formerly Country Aire RV Park) in a Travel Trailer. Hello! Thank you for taking the time to leave your feedback! We apologize you had to wait upon checking in, I was assisting another guest outside of the office. We did just complete our park renovations and are sorry the concrete curbs gave you a difficult time. We chose to install those to protect our new investment of sprinklers and sod. We will take your concerns about laundry pricing not being posted and unlevel sites into consideration for our future updates to the park. We are sorry to hear you wouldn't recommend our park for longer stays. Safe Travels. If you make a reservation for a week or longer, you will be assigned a back-in site. Pull through sites are assigned for short(er) stays. Just that you know. Check-in before 2PM will cost you $10. We were arriving at 1.15PM, our assigned site not occupied, however no exception. That's the policy. No judgement here, just for your info. Heated building with restrooms and showers is very old. Hard to see if it's clean due to the damaged tile floor, but cleaning took place every day. Gravel sites are almost level and there is a grass sitting area. Don't leave anything on the grass, sprinklers work at random. No cable, but there are a couple of TV-channels via antenna. Wi-Fi is good. It is quiet during the night, despite nearby road. Don't go here with your tent, you are practically camping on the street in front of the cabins. We camped at Cedar Breaks RV (formerly Country Aire RV Park) in a Fifth Wheel. Hello, thank you for providing your feedback. It is not necessarily true that pull throughs are for only short-term stays. However, we just completed park renovations in phases and for longer term stays our back-in sites are a better option. In this case, that is why you may of ended up with a back-in. We do have a check-in time of 2pm as this is the time we use to provide maintenance to our park/sites and we do send this information in an email confirmation. We do hope we are able to remodel our restrooms as we know the appearance of them is old, however, as you stated we do clean them daily. To address the sprinklers, as stated above, with park renovations just taking place and new sod being laid we had to water multiple times per day for rooting purposes. In the future watering won't be as frequent, but is necessary for our grass. We do appreciate you taking the time to provide your feedback and hope if you're in the area in the future you'll stop in. Park updated 2017. Looks pretty much completed. Very nicely done. Nice grass area with cement pad and table for each site. Two problems... need certain trees trimmed back to accommodate larger rigs and sites are not level. There is time the level issue can be corrected as some construction work still in progress. Otherwise is is a class park. As good as any 'Resort" park as some claim to be. A fair amount of road noise during the day but quiets down around 10-10 PM. We would definitely stay here again. We camped at Cedar Breaks RV (formerly Country Aire RV Park) in a Motorhome. Your not far from food stores, shopping and other services. Area has much to offer and do. Hello! Thank you for taking the time to leave your feedback! We just have a few sites we're waiting for sod to completely root before re-opening. We are aware some trees need trimming and they are on our list of "to-do's." Our sites were re-leveled as the construction phase ended, but we will look into the issue. Thank you for staying with us and we hope you will stay with us if you are ever in the area again. Dixie National Forest was a great trip for the dog and I. We walked in different areas of the forest. It was just beautiful. The Centro woodfire pizza had great salads & pizza. Prices are decent. Enjoyed the Southern Utah Museum of Art and saw a play at the Randall Theater. Cedar City offers many restaurants and shopping. The town is a convenient location for many adventures in the area (Bryce, Cedar Breaks, petroglyphs, Zion, etc.). We did not have time to explore the shopping or the recreation in the area. Be sure to visit Bryce and Zion Canyons as well as just travel around the region. On Main Street at the north end of town. Hospital within half a mile, everything else uphill to the south, or west toward the interstate. No traffic noise at all. Spent two nights on our way north to Salt Lake. Cedar City is a nice little city with just about anything you might need with some really good restaurants. Are you affiliated with Cedar Breaks RV (formerly Country Aire RV Park) ?